In the past couple of posts I’ve talked about the importance of not allowing your IVR to stand in the way when your caller zeros out to reach an agent. But you face another issue that stands between call handoff and customer satisfaction: the wait. Here’s where your IVR comes back into play. 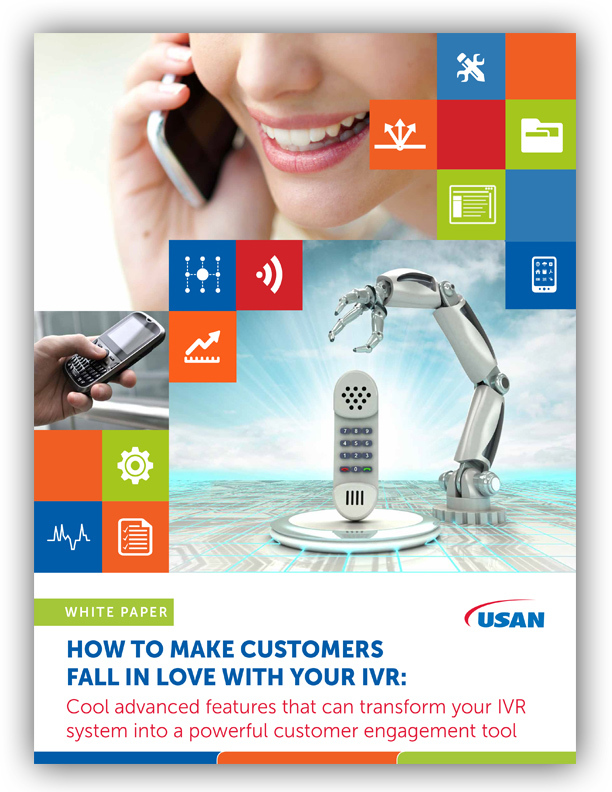 Even though your customer has zeroed out, that doesn’t mean your IVR’s mission is completed. Far from it: there’s still good work it can do before your agent takes the call. One of those things is monitoring that wait time, and offering the customer a way out of it. For a hold time that’s expected to be longer than a couple of minutes, you need to set your caller’s expectations. That’s easy to do. Your IVR has the intelligence to determine the number of callers on hold, the number of agents handling calls, and the average call duration. Using that data, it can calculate an expected hold time for the customer. Once it has that information, it can then relay it to the customer, as well as what position that customer holds in the call queue. You are fourth in the call queue and your hold time should be less than seven minutes. Seven minutes, if you’ll let me synthesize all the surveys I’ve read and the customers I’ve met (and the customer I am for that matter), is a long wait time. In some cases, long waits are expected (for instance, when calling a government agency). In other cases—I think most cases—long waits are standing pools just waiting for impatience to breed discontent. But it’s made less so when the customer knows how long they have to wait. It’s not just this alert that your IVR can provide during hold times. There’s a lot more work it can do. I’ve written before on ways to create targeted offers to callers as they wait, to provide targeted account information—average monthly spend, used vs available credit, and so on. But there’s only so much of that information handy. You don’t want to repeat yourself and you don’t want to decline into an endless loop of pan pipe music. So what do you do when the hold time is long (anything over three or four minutes) and you’ve run out of anything useful to say? Why not just hang up? That’s easy to do with the Metaphor IVR+ callback feature. Here, recognizing the caller’s patience continues to ebb as the hold music continues to flow, offer them the option of you calling them back when it’s their turn in line. It’s simple and cost effective to turn on. You are fourth in the call queue and your hold time should be less than seven minutes. If you don’t want to wait on hold, we can call you back when it’s your turn. You will not lose your place in line. The IVR can offer to call back at the number it recorded from the caller ID. It should also offer the caller the opportunity to enter an alternative callback number. Companies that have or are in the process of adopting an omnichannel approach can offer to reach back through alternative channels—shifting to text or online for instance to complete the call intent. Callback isn’t for everyone. If your AHT doesn’t blow through the roof even during peak hours, if the average hold time is two or three minutes, it’s likely that the other things I’ve discussed in this post and this one can work when dealing with hold time. But once you start to creep into “too long”—which you’ll figure out both statistically and from customer complaints—getting off the phone can be the best way to provide first-quality telephone support.